Unfortunately, the clock change in the UK / Europe meant I was unable to make the Simulator User Group meeting on Tuesday, October 30th. There was no deployment to the SLS (Main) channel on Tuesday, October 30th, nor was the channel restarted. It remains on server release 18#18.10.04.520268, comprising internal fixes. BlueSteel and LeTigre will update to server maintenance package 18#18.10.25.521081, comprising internal logging fixes. Magnum should be updated to server maintenance package 18.10.25.521075, also comprising internal logging fixes. Snack will be updated to EEP release 18.10.24.521013. The Spotykach Maintenance RC viewer updated to version 5.1.10.520686 on October 31st. The Bakes on Mesh project viewer updated to version 5.1.10.520711 on October 29th. Environmental Enhancement Project (EEP) viewer updated to version 5.1.10.520819, on October 19th. 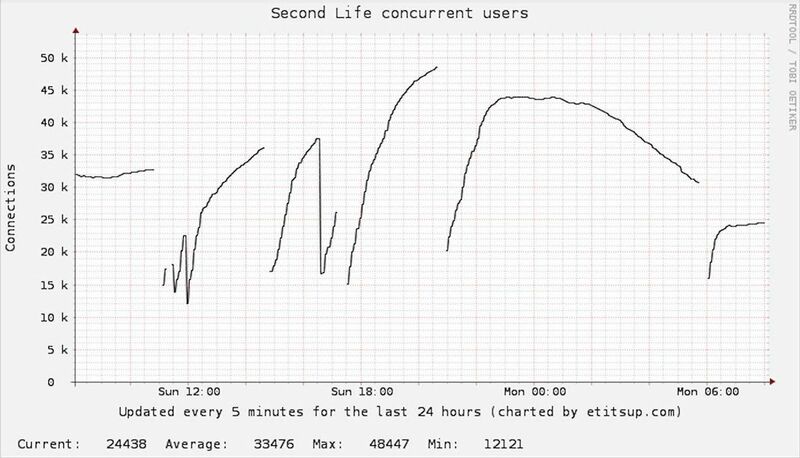 As most are aware, Sunday saw some significant issues with Second Life, with users in particular have log-in issues. I can confirm it was a DDoS attack, and yes, the folks on my team had a rough weekend. We do our best to fight DDoSes, but this one took quite a bit more effort than normal. I’m sorry people’s plans got interrupted over the weekend. It was a rough weekend for all of us… including those of us on this side of the grid, too. I’ve no idea if there will be a more formal blog post on the matter or not. Following their recent call for venues, Linden Lab announced the route for this year’s Halloween Creepy Crawl on Wednesday, October 31st, via a blog post by Xiola Linden. The Creepy Crawl is a growing tradition whereby Lindens and Residents get dressed up in their best Halloween costumes and roam from spooky spot to spooky spot for music, dancing, and celebrating. So, if you fancy meeting some of those responsible for bringing us Second Life and having a little fun, conversation and maybe dancing along the way, keep this list of destinations handy on the 31st October, and drop in to any of the venues along the route!